A tool in the fight to stave off more foreclosures and help rally the housing market gets jammed by debate. Facing heightened pressure from the White House and Congressional Democrats, Federal Housing Finance Agency Acting Director Edward DeMarco doubled down last week on his opposition to allow Fannie Mae and Freddie Mac, the agencies he regulates, to reduce the principal on underwater mortgages. Is DeMarco bypassing an effective tool that would not only help home owners get out from under crushing debt but also fuel the embryonic housing recovery? 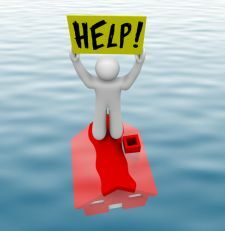 Reducing the principal on underwater mortgages is one of the more controversial policy proposals to combat the housing crisis. In fact, it’s considered by some to be a moral hazard. On one hand, with millions of home owners still underwater, principal reduction can help prevent even more foreclosures. On the other hand, forcing banks and the GSEs to reduce principal might encourage home owners able to make their monthly payments to purposefully default in order to qualify for a principal reduction. In addition, some believe that helping folks who may have overextended themselves on their mortgage isn’t the best solution. Policymakers should encourage principal reductions, but the decision on when to use it is best left to the lender and borrower. Some Senate Democrats are pressuring DeMarco to reconsider his position for Fannie- and Freddie-backed loans. Sen. Tim Johnson (D-N.D.) urged the FHFA director to take additional steps to help families stuck in high-interest mortgages, and Sen. Robert Menendez (D-N.J.) said the FHFA has displayed a “dismal lack of initiative” in combatting the housing crisis. The president’s top housing official, Secretary of Housing and Urban Development Shaun Donovan, points out that banks already allow principal reduction on loans. “If banks are doing that with their own portfolios, I think it shows they have clearly made the decision that it protects their own investments,” he said during a Senate Banking Committee hearing last week. After all, borrowers who have their principal reduced are more likely to keep making their monthly payments. To help spur a change in FHFA’s policy, the Obama administration upped the financial incentives for administering principal reductions, which are already part of the Home Affordable Modification Program (HAMP). But DeMarco believes other tools, like rate reductions and longer loan terms, are better than principal reduction. He also argues that FHFA’s role is to minimize American taxpayers’ losses since the government had to bail out Fannie and Freddie in 2008. But what he doesn’t seem to realize is that prudent principal reduction would prevent millions of foreclosures, benefitting taxpayers, home owners, and lenders over the long term. Reducing the principal on a mortgage makes more economic sense than allowing the home to be foreclosed on. Foreclosures hurt everyone: the lender, the owner, and even neighbors who live near vacated properties. Principal reductions shouldn’t be mandated for all underwater mortgages. But it’s an important option for home owners and lenders trying to stave off a foreclosure. And with Fannie and Freddie owning or guaranteeing 60% of mortgage loans, taking principal reduction off the table will do nothing to help the housing market and the rest of the economy bounce back. Do you think Fannie Mae and Freddie Mac should allow principal reductions?